Welcome to the GREedge Free Resources Library! Your SOP is the closest thing you have to a personal interview with the admission officers. Knowing how to make the best first impression is often the difference between an admit and a reject. So, how can you make the best one? How can you stand out from the massive sea of applicants that compete for the same admits every year? Most important parameters for your SOP. Bonus: Your SOP can be answered using just 4 questions! Find out what they are here. 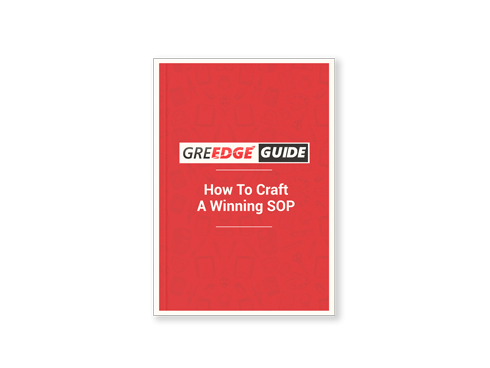 Clinch an MS admit - Download your handcrafted SOP guide now! P.S: Your eBook will be sent to your inbox, so make sure you give us a valid email ID.